Accepta 1450 is a high performance inorganic primary coagulant based on trivalent iron (Fe 3+). Accepta 1450 is scientifically formulated for use in drinking water applications, wastewater treatment and effluent treatment. Accepta 1450 is effective over a wide pH range. 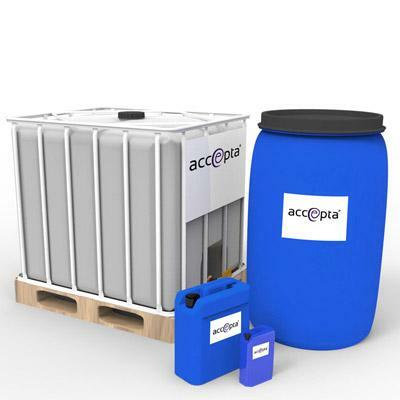 Accepta 1450 can be used as an effective odour control agent and will aid phosphorus removal. It can also be used as a sludge conditioning agent and will inhibit corrosion by controlling the formation of hydrogen sulphide. For application advice regarding Accepta 1450 please contact us.